People often think that “successful” meditation involves shutting out all thoughts. As if we could! With practice though, we can learn to let thoughts be. We can let them fall like snowflakes on a wintry evening, softly and silently. 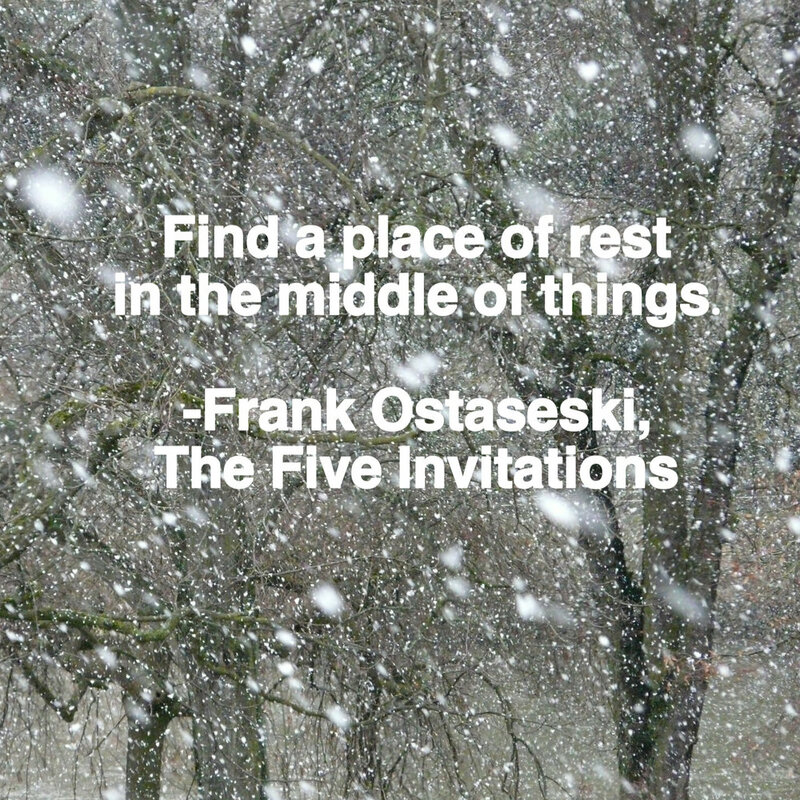 Frank Ostaseski, co-founder of Zen Hospice Project and author of the amazing book, The Five Invitations, offers as the fourth invitation, “Find a place of rest in the middle of things”. In a recent interview on Dan Harris’s 10% Happier podcast (highly recommended - the book and the podcast! ), Ostaseski observes that we needn’t die in order to rest in peace. What a rich notion to ponder! When we bring our attention to our breath, placing it there lightly but with constancy, we can rest in peace in that very moment. As we allow thoughts to fall like snow flakes, letting them be without chasing after or engaging with them, our tendency to be in constant dialogue about our lived experience begins to subside. We begin to relate directly with life itself. Story falls away, narrative fades, truth emerges. We create the space for ourselves to rest and receive. Each breath becomes its own silent retreat on a snowy evening. We hope you will join us as we find a place of rest in the middle of things this week.